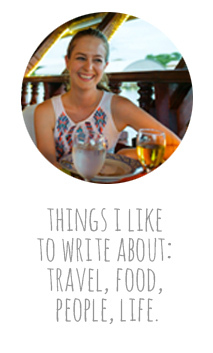 Julie Pennell : Do You Believe In Magic? The first magic trick I can remember witnessing was in my grandpa's living room. He swiftly put his hand behind my curly blonde hair and grabbed a shiny quarter from my ear. Eyes wide and jaw dropped, I demanded, "How'd you do that?!" He explained to me it was magic and left it at that. A part of me still really wanted to know the explanation, but another part of me was satisfied with the answer. Magic. It sounded pretty enchanting. Since then, I've loved magic tricks. 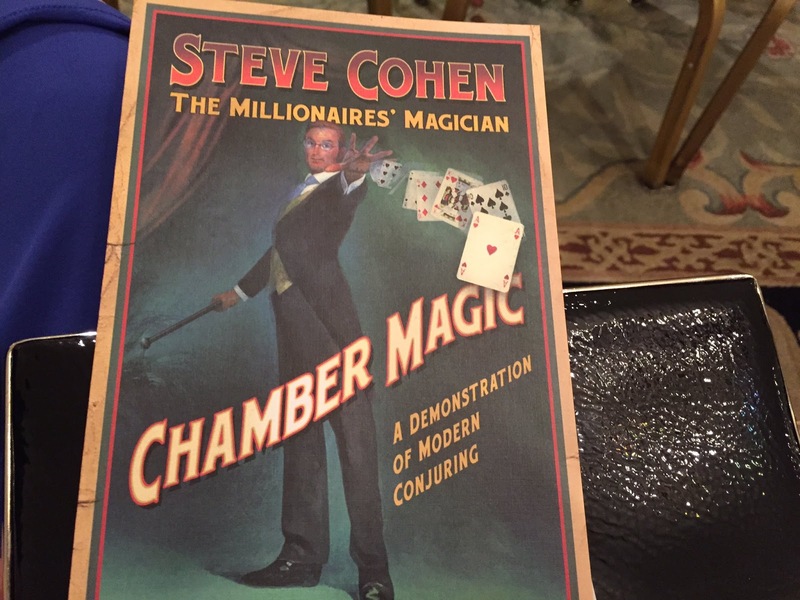 So, when I heard about magician Steve Cohen's standing show "Chamber Magic" at the Waldorf Astoria in NYC, I knew we'd have to pay a visit. Christopher's parents came into town this weekend for his birthday, and we thought, what better a way to celebrate? The evening takes place in one of the grand suites in the luxury hotel. The room--decked out in classic mahogany furniture, lavish gold hues, and a sparkly chandelier--holds about 50 people. The audience dons cocktail attire, and Steve, who's been doing this particular show for 16 years, is wearing a dapper three-piece suit. He makes a point to thank the audience for dressing up. He explains that he got his start with magic by watching his great uncle do tricks, and that this intimate setting is kind of a tribute to that. He invites those who can't see to the front of the room to watch him do some card tricks--you know, just to make sure he's not trying anything funny. We all watch with focused eyes as he manages to guess one of the cards in an audience member's hand. And he does it every time--without fail, no matter how much the cards have been shuffled by different people. Another super fun trick that had all of us gasping with amazement was "Think-a-Drink." Everyone writes down their favorite drink and he somehow manages to not only guess what's written down on a few of the cards, but also pour the exact drink from a pot. I'm talking exact. Like someone wrote Gatorade and he asked the audience to choose a color and someone shouted out "turquoise" and it came out turquoise. We were all yelling out, "How'd you do that?" although, I'm not sure how much we really wanted to know because then it wouldn't be magic, right? Steve also melded audience members' wedding bands and engagement rings together, was able to perfectly pin-point the same city someone wrote down, and somehow managed to read people's minds. Like seriously. It was crazy. You can see some bits of the show in the video below. And if you're ever in New York and looking for a fun show to attend, this should definitely be in consideration! Here's the website for tickets. PS- The shows sell out quickly, so book early! So, do you believe in magic? What's the most impressive trick you've ever seen? Tell me in the comments below!